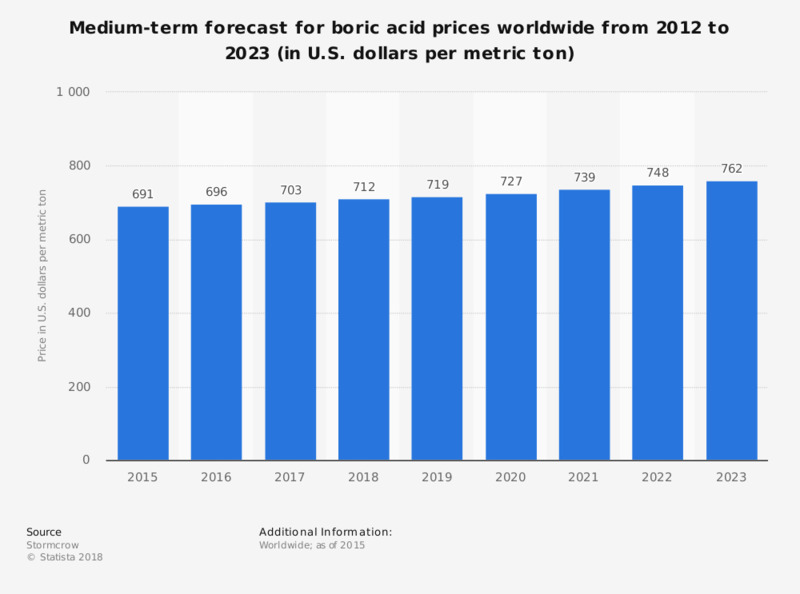 This statistic depicts a medium-term forecast for the global price of boric acid from 2015 to 2023. It is expected that the price of boric acid will reach 696 U.S. dollars per metric ton in 2016. Until 2023, the price is expected to increase up to 762 dollars. Boron occurs in some volcanic spring waters and in minerals as borates. It is predicted that due to rapidly increasing demand, a supply gap of borates may occur shortly after 2020.